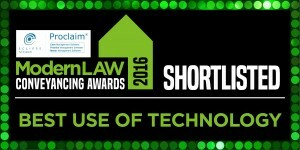 Pali (Property And Land Information) is delighted to announce they have been shortlisted for the Best Use of Technology category in the Modern Law Conveyancing Awards. 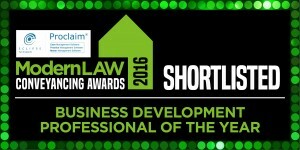 It has also been announced that Marketing Director at Pali, Jo Milne, has been shortlisted for the Business Development Professional in the same Awards Scheme. Modern Law Magazine was launched in 2012 following the liberalisation of legal services, with a specific focus on the business of law. Following the successful launch of the Eclipse Proclaim Modern Law Awards – now well established as one of the most exclusive events in the legal calendar – the Eclipse Proclaim Modern Law Conveyancing Awards have been created. The winners will be chosen by an esteemed Judging Panel, who have been selected based on their knowledge and experience of the industry. These new awards will recognise those taking the lead in innovating to find unique solutions for their businesses and clients, those who have achieved successes as teams or individuals, and those championing client care. Pali has been established since 1999 providing the legal profession with quality conveyancing searches. Their multi-award winning platform offers clients an online solution for the ordering and retrieval of conveyancing searches. Acting as a ‘one stop shop’, today Pali can also provide solicitors and property professionals with Anti-Money Laundering Checks, Indemnity Policies, OS Plans, Lawyer Checker Reports and much more. Pali has integrated with popular case management systems therefore streamlining the process as much as possible. The aim is for a “one click” ordering platform and “no click” payment system which has been achieved. Pali have had a winning streak when it comes to industry awards as last year they won Best Conveyancing Search Platform and Best in-class for Customer Service in the Technology Innovator Awards and in April this year they won Best in Sector for Searches and walked away with the Gold Award in the Supplier of the Year Category at the ESTAS, the biggest Award Scheme in the UK Residential Property Industry. Will they be able to add another Award to their collection?